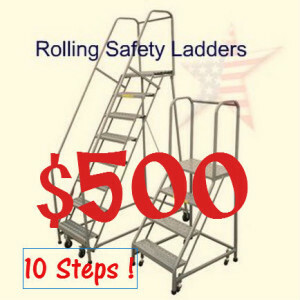 Rolling Ladders are a Safe Way to Access Maintenance Jobs! 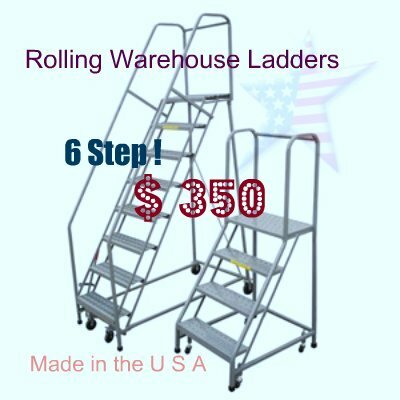 We Have LOWERED the prices on our most popular series of Rolling Ladders. 3/27/14. 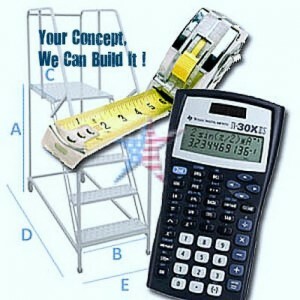 We also carry BALLYMORE LADDERS, TRI-ARC LADDERS, & COTTERMAN LADDERS. 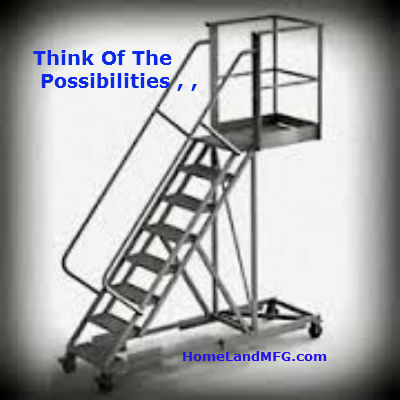 BALLYMORE ROLLING LADDERS are the backbone of warehouse inventory control, maintenance, inspection, vertical access & a fast response platform. 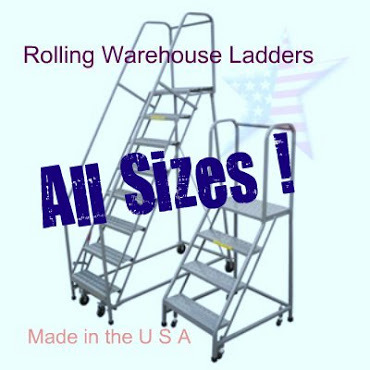 Our all Steel ROLLING LADDERS are industrial work-horses and are made of a rugged 1 inch square tube design & come standard with a weight activated "Lock Step". The handle on the side is designed to release the lock with ease. We can build these with a longer platform, walk off top safety chain, 6 wheel turn and GALVANIZE them too! 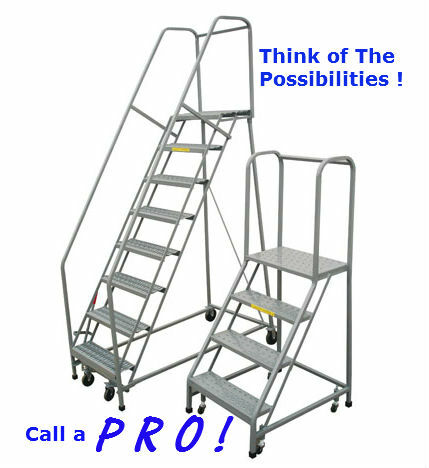 See our page on 'BECOME A ROLLING LADDER PRO."